The BTEC First is a great qualification that will prepare you for the world of work or further study. You will learn how to use software and hardware that is used in digital media industries – by photographers, editors, sound recordists, web designers and games designers. Have a look at the following 10 steps to success in Creative Digital Media Production. What Does Digital Media Mean? Write down a one-sentence definition, and then compare it with the person that is sitting next to you. Is digital media about platforms, devices or different audiences? What’s the difference between digital media and traditional media? What’s changed over the last 10-15 years in TV, Film, Video Games, Magazines and Newspapers, Websites and Social Media and Radio? Then go to Wikipedia’s definition - read the first paragraph and discuss it in class. Compare the definition with ‘What is Digital Media?’ by the Centre for Digital Media. You should now feel better informed and ready to start the unit. The difference between analogue and digital – you should know this by now. The study of digital media sectors - moving Image (film/video/TV), audio, publishing, websites, games). 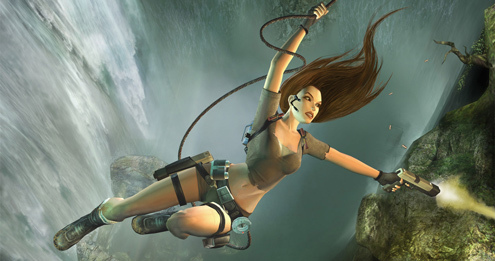 Synergy: If I was to tell you that Skyfall and the Skyfall Adele soundtrack is an example of synergy or Lara Croft: Tomb Raider the film and the 2013 video game Tomb Raider is also synergy, what do you think I mean? Write down a definition of what you think synergy means and then attempt to explain it to the class, using different examples from the ones above.